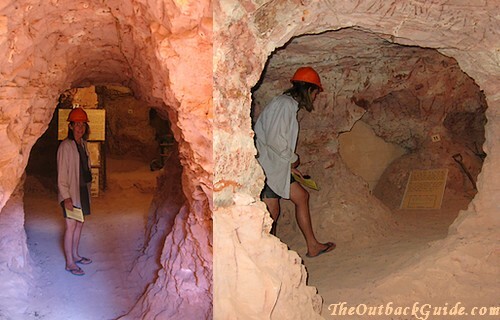 These pictures of Coober Pedy show the two faces of the Australian opal mining town. The town itself does indeed look unappealing at first sight. 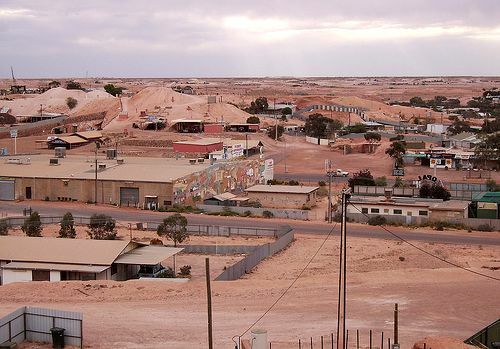 What you can see is no more than a collection of sheds and other drab grey buildings, strewn among the piles of dirt excavated from the opal mines. 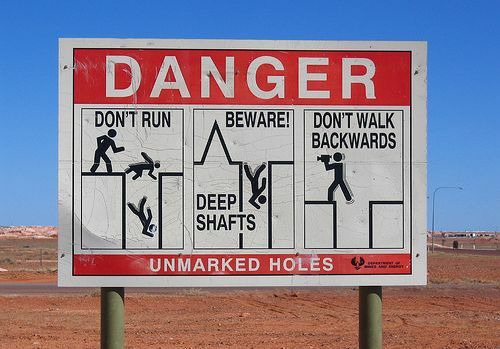 Underground homes are not the holes you imagine. 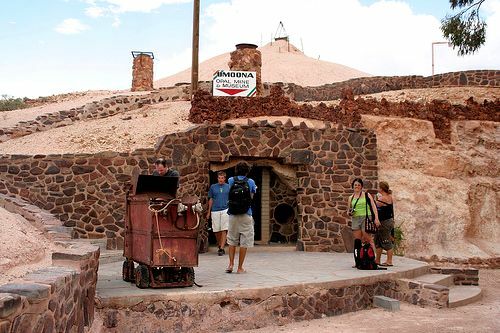 People don't dig down, they dig into the hillsides. The entrance is at street level, as seen here. What you can also see is a ventilation shaft in the foreground. Below is another example of an entrance. 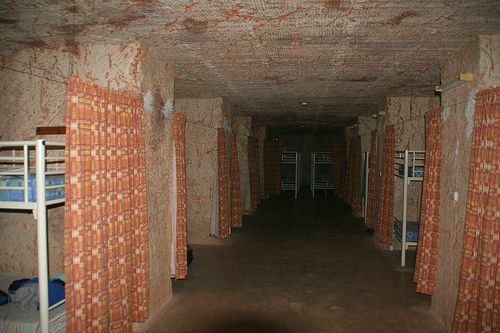 ...and this is what the hallway at some backpacker budget accommodation looks like. 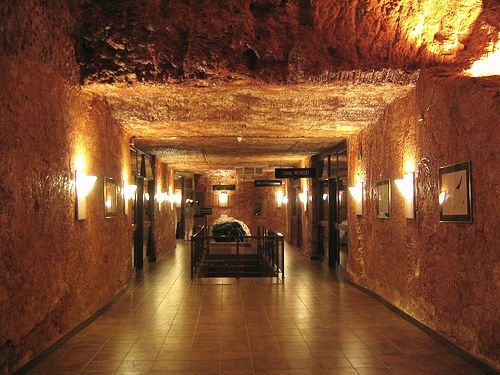 About as charming as an underground parking lot, isn't it? 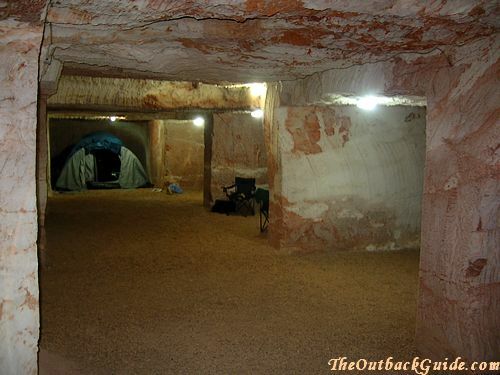 Ok, so the budget underground accommodation options aren't the prettiest, but they are cool and quiet. It's always a relief to escape the heat and the flies and the dust above ground. So just join one of the many tours that are offered. I said in the opening paragraph that I disagree with the notion that the barren Outback desert is not appealing. 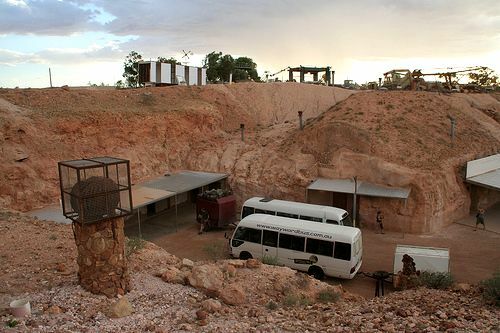 To see why, have a look at the next page: the first three Australian desert pictures were taken near Coober Pedy. Think you might want to stop and have a look at all that? 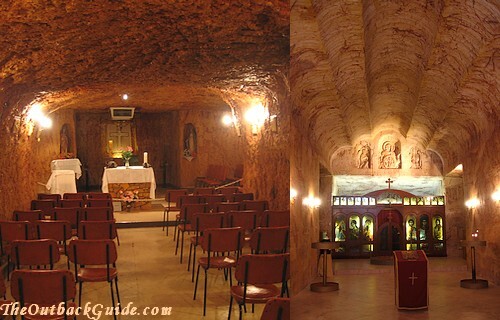 You can read more about Coober Pedy, Australia and the nearby attractions, here.